Marsh Landing country club in Ponte Vedra, Florida. 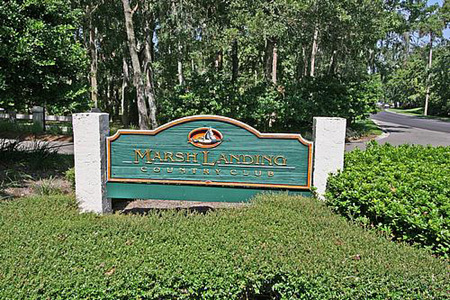 Marsh Landing Country Club is a 1,700-acre gated residential community located in the northeast corner of Ponte Vedra Beach along the marshes of the intracoastal waterway. Many homesites are built along the 18-hole golf championship course designed by Arnold Palmer's design partner, Ed Seay, and along the intracoastal with breathtaking views of sunsets over the marshes. The 6,841 yard, par 72 golf course weaves through pockets of intracoastal marshes and towering pines that provide a year-round golf experience and home to an extraordinary array of wildlife. View site map here. The strong emphasis on family, health, and dining is by design at Marsh Landing Country Club. The Club features lifestyle amenities including clubhouse, a junior Olympic-sized pool, fitness center with Certified Personal Trainers, 10 Har-Tru clay tennis courts eight of which are lit, professional tennis staff, and summer camp activities. Found Forest and Swift Creek are new neighborhoods in Marsh Landing. Found Forest has only twenty lots available to be built on a very heavily wooded site of over 100 acres behind the Marsh Landing gates. 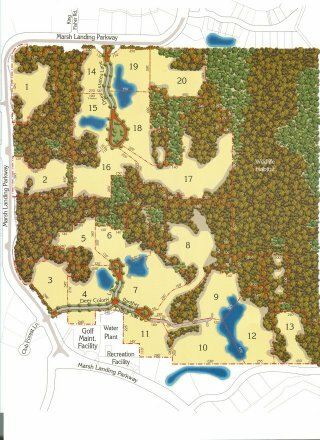 Homesites are the largest lots ever developed in the Ponte Vedra area ranging in size from 2 acres to 10 acres. Make sure to call me to view homes in this community, I can represent you as a buyer's agent at no cost. Home prices from the $800's to over $5 million.